Espresso maker brands and models have significantly increased to match the variety of coffee flavors. As these brands and models continue to flood the market, espresso machines continue to be more sophisticated. The super automatic coffee machine are the latest to find their way in the market. These are complicated yet offer a lot of convenience, sophistication and are utterly exotic. 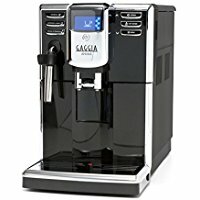 One of the best super automatic coffee machine on the market is Gaggia Anima Prestige and we write honest review for you if you decide to buy. Know what you’re buying. The super automatic coffee machine were invented with the idea of making the coffee brewing process straightforward and fast. These machines take seconds to have your coffee ready and leave no mess to clean up. 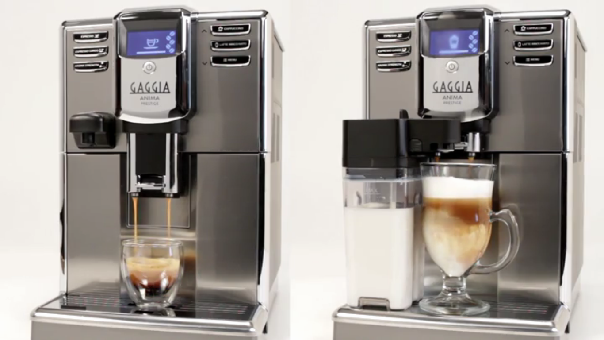 A perfect example of the super automatic coffee makers is the Gaggia Anima Prestige Coffee Machine. It’s important to recognize the fact that Gaggia makes some of the most intricate super automatic coffee machines in the market today. Their machines are beautifully designed and filled with features that will take your coffee brewing experience to another level. The most attention catching coffee makers from the manufacturer include the Gaggia Anima Deluxe, the Gaggia Anima and the Gaggia Anima Prestige. Before looking into details the features of the Gaggia Anima Prestige, we will look at the characteristics of its sister machines. Note that the three machines are all automatic but are a series whereby the Gaggia Anima Prestige is the superior most. The Gaggia anima prestige marries a tradition and modern aerodynamic design packaged in a sleek brushed metal finish. With the additional customization features, you have more control over your coffee brewing experience. This machine offers elegance in addition to its powerful fully automatic features. The Gaggia Anima Prestige features a ceramic burr grinder which minimizes heat transfer while at the same time evenly grinding the beans. 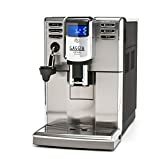 It also has a bean hopper which has the capability of holding up to eight ounces whole coffee beans and a sixty-ounce water tank, both of which minimize the intervals of refilling the beans and water. 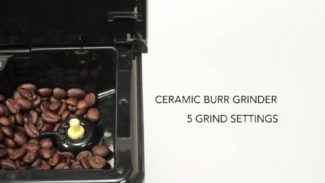 The drip tray of this machine collects water from inside the coffee maker, the sprouts, and outside sources and has a total capacity of twenty-four ounces. This machine also features a removable dreg box with a capacity of fifteen coffee pucks before emptying. The manufacturer made the brew group removable to enhance maintainability and cleaning hence increasing its performance and longevity. Additionally, it is has a programmed descaling cycle which you can set depending on the hardness of the water you use. When an additional maintenance is required, the machine alerts you via programmed LCD. 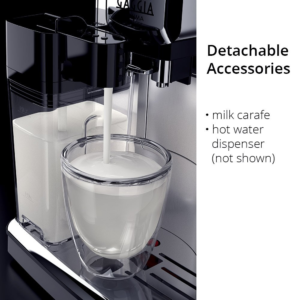 The milk carafe is a strong selling point for the Gaggia anima prestige super-automatic espresso machine. The handy auto frothing milk carafe enables this machine to prepare milk beverages at a push of a button. The carafe is strategically placed at the front of the machine which helps the coffee maker to froth the milk and sprout it directly to the coffee mug. Although the Anima prestige can auto clean the carafe, it is detachable making it easy for the user to clean and maintain it. You can also remove and store in the fridge between uses. The Anima prestige model has characteristics that will make your coffee brewing experience as stress-free as possible. It features a pre-infusion feature which delivers a bold and delicious coffee flavor of your choice. Additionally, the coffee dispenser is adjustable to a minimum height of 5.9 inches hence making it easy to use any coffee cup size. Gaggia anima prestige coffee machine has an intuitive interface which makes it easy for you to customize your drinks. The coffee maker integrates a rapid steam technology giving you an option of exploring more advanced custom drinks. The machine also features an opti-aroma system which allows you to customize the flavor of your drink with its five adjustable increments ranging from 6.5-11.5 grams. Easy to Use– Unlike many coffee machines which have complicated manuals that leave you with more questions than answers, the Gaggia anima prestige coffee maker has a one touch display which allows you to make a variety of drinks minutes after plugging it into a power source. As you get used to using the machine, you can re-adjust the pre-programmed drinks to meet your desires. By-pass doser– this coffeemaker features a bypass doser which allows you to use pre-ground beans in case you don’t want to use whole grains. With this machine, you do not have to turn down a pre-ground beans gift from a friend. Consistency– in addition to delivering great results at a push of a button, the Gaggia anima prestige coffee maker can produce drinks which are highly consistency. • The only downside about this super-automatic espresso machine is that it costs a fortune. 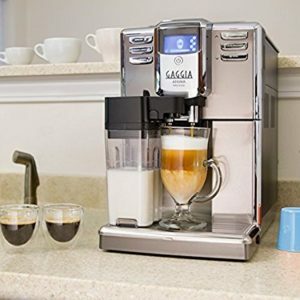 After being in the coffee maker manufacturing industry for decades, Gaggia knows exactly what coffee lovers are looking for an automatic espresso maker. They have done an outstanding job in this latest model of the anima series coffee maker which is the latest in the market. Given that every feature of this machine is focused on enhancing your brewing experience, Gaggia anima prestige is one automatic coffee maker that you will enjoy using. This coffee maker is for those true coffee aficionados who are looking to make barista-style coffee flavors. With additional customization options and frothing carafe, you can use this machine on a daily basis producing a succulent drink with every brewing. 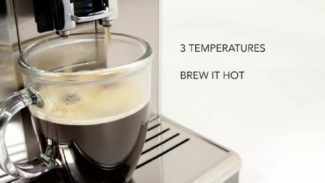 It features intuitive features that will allow you to easily use it even if you have never used an automatic espresso machine before. 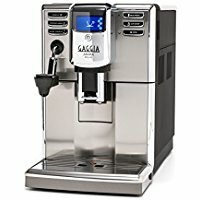 As the name suggests, the Gaggia anima prestige super automatic coffee machine is for those who are prestigious enough to afford this type of a coffee machine. But considering all the features it offers, this machine is worth every penny. Additionally, its features suggest that this espresso maker is ideal for the true coffee lovers and not the casual coffee drinkers.